As a production plumber, using efficient and reliable products is a must. 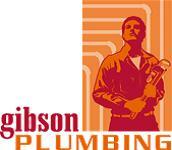 Gibson Plumbing has been using ACCOR® products for several years. Their products give us the performance and quality we expect. We have had excellent results. The ACCOR® plastic stops and supplies have no effect from the harsh water conditions in the Arizona market, they have saved hundreds of hours in labor in the ease of installation. We have been using ACCOR® products for about 3 years with very good success. The quality and durability of the product have been above our expectations as well as the customer service we have received when needed. We have been using ACCOR® Technology close to a decade and it has helped us trim out houses faster using ACCOR PUSHON® Stops. The stop and riser have a clean, finished look and have been proven to last.. The ACCOR® design is simply brilliant because of its simplicity. With the ACCOR supply, you simply push it on. I’m a believer and I highly recommend ACCOR. Mike Scott Plumbing has used ACCOR® Products for over 18 years and have installed in over 75,000 homes. There is NO better product for multiple use with copper, CPVC, and Pex materials. Approximately 15 years ago Robert A. Tull, Inc. started using ACCOR® Supply Valves and immediately saw the benefits. With the ease of leak free installation our productivity levels increased and our customer service calls decreased dramatically. We have been using ACCOR® Products in our national builder's homes over the past 10 years and they have been the best in the industry, great company with a great product that they stand behind. We use ACCOR® stops and supplies on our single family and multifamily business segments and have found it to be highly reliable product that does create tangible labor efficiency. Replacing compression angle stops with ACCOR® stops on our toilets, lavatories, kitchen sinks and laundry tubs has helped us become more efficient and eliminate a common source of leaks. Please at any time have a contractor give me a call and I will be happy to recommend this product and give any other information needed. We have recently changed to ACCOR® FlowTite®4All® push on stops on all of our projects. We have found that we save a significant amount of time on both installation and call backs compared to traditional compression style stops. We have been using your products for over 15 years with great success. The PUSHON® technology has eliminated leaks and made installation quick and easy. I really appreciate your help, it's great to see an American company that truly stands behind their products! Not to mention going above and beyond. Thanks again. Everything arrived safely and I was able to replace the unit this weekend. Thanks to your removal instructions, and the simple installation instructions, the whole procedure took less than 10 minutes. Thank you for making this a frustration free experience. Thank you for your quick response and the courtesy extended. This is what REAL Customer service is all about. Thanks again for your help. It is rare to come across such good customer service. Wonderful experience. Great customer service. You and your company are awesome. What nice customer service you have. You're prompt and courteous. Thank you for your rapid resolution to my plumbing issue. Very impressive about your quick response. Top notch customer service as I checked from online feedback regarding your company. My high respect to you. It's nice to see a Made in the USA company with great customer service. Your prompt reply to our e-mail took both my wife and me by surprise. This extraodinary Customer Service is rare these days.